I have owned my Bar Non mare for seven years now and I cannot brag on her enough. 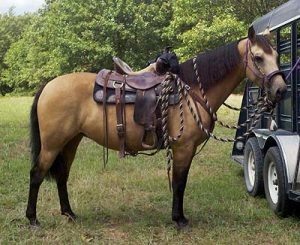 It took me a year of searching to decide on an offering Harvey had available of a pretty buckskin filly sired by his late and great stallion S Bar B Pierre Noire and out of they equally historically significant mare, the late Ramul’s Barby. Harvey was very accommodating with video and coordinating transportation as well as answering any questions or concerns I had during and after the transaction. Just a pleasure to deal with all the way around. He does not forget you after the sale, you become part of the “Bar Non family”. Bar Non Dream Gold (Harvey let me name her) was my childhood dream and continues to be everything I could ever ask for in a horse. Beautiful, strong, intelligent and feet that have never seen a shoe through thousands of miles of rocky terrain and paved streets. This horse came out of the womb ready for any challenge I wanted to take her through and turns heads where ever she goes. 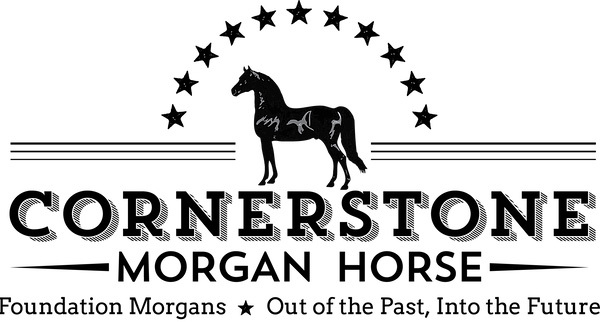 I would encourage anyone shopping for a horse to consider checking out Bar Non Morgans and see what Harvey has to offer!